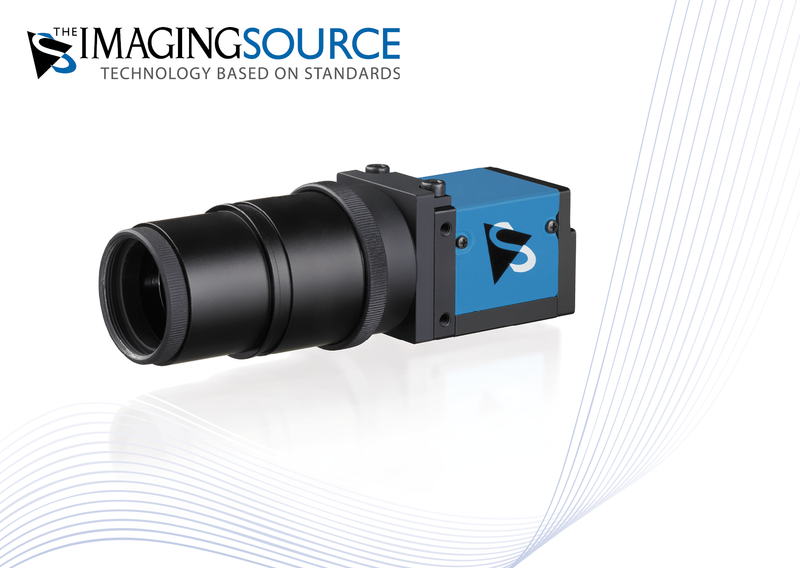 ⋯ (July 3, 2014) - The Imaging Source is delighted to announce the immediate availability of its 13 megapixel microscope camera with exceptional image quality and color reproduction. The 13 megapixel camera is based on Sony Exmor CMOS technology, which ensures the best possible color reproduction, largest dynamic range and highest sensitivity. It can be mounted on either the microscope's ocular or C-mount. The camera, which is equipped with a distortion-free 5.3 mm (35 mm equivalent) auto-focus lens, allows the user to capture exactly what an observer sees through the ocular, not just a region of interest, which is common of traditional microscopy imaging solutions. A costly relay lens to adjust to a specific sensor format is not required. Thanks to the camera's USB 3.0 interface, a Full HD (1920 x 1080) preview at 30 FPS is available on the host PC. A number of automatic modes are available, which guarantee the highest possible image quality, even during fluctuating lighting conditions. The software support of this microscope camera leaves nothing to be desired: Both programmers and end-users immediately feel at home. Getting started with the camera takes only a matter of minutes and integrating it into existing applications takes only a few lines of code. The Imaging Source authors and supports device drivers for LabView, HALCON, DirectX, Twain and WDM, the SDK IC Imaging Control 3.2 (.NET and C++ class library) and IC Capture, programming samples and software tools for Microsoft Windows XP, Vista, 7 and 8. All Windows software can be download directly from our web site. Additionally, The Imaging Source authors and supports open source drivers and end-user software for Linux. The Linux source code, which is released under the Apache License 2.0, enables the integration of this microscope camera into popular Linux distributions. The Open Source code is available to download from GitHub.